Prime location for this 3 bedroom, 2 bath mobile home on a spacious, level lot that's fenced on 3 sides. 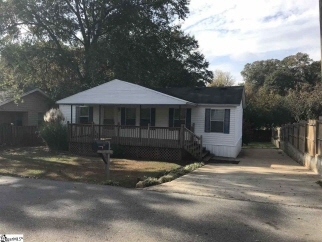 This property is located in the increasingly popular San Souci area that's less than a mile from Hampton Station, the Swamp Rabbit trail, & only approximately 2 miles from Downtown Greenville!! Would be ideal for an investor or someone looking for an affordable, primary residence.Per seller doublewide is 42x27 & built in 1998. Cash sale only and property will be sold as-is. Schedule your showing today before its gone!